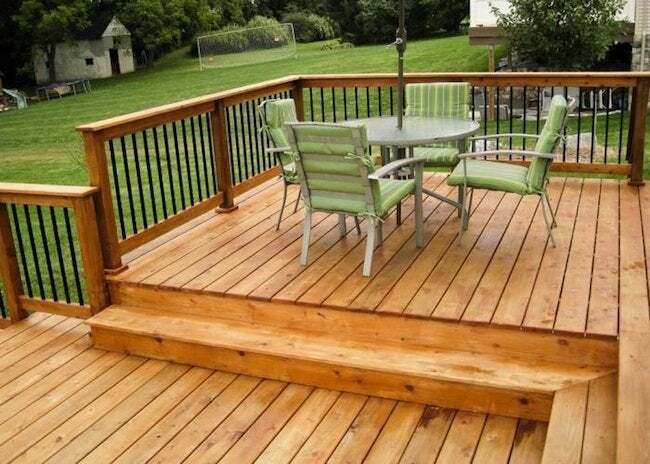 If you are planning a deck, you'll have many varieties of wood to consider. The key will be finding the one that best suits your aesthetic, design, budget, and region. There are many wood species that can be used for outdoor decks, but not all offer the same benefits and maintenance requirements, and price and availability vary by region. As Bob Mion, of the California Redwood Association, points out, “In the Southeast you’ll find lots of Southern yellow pine; in the North Central Midwest, Western red cedar; in the California-Oregon-Washington region, redwood predominantly.” You can certainly use redwood for a deck on Cape Cod—if you pay to ship it there. Cedar resists moisture, rot, and insect infestation, and offers more durability than many other types of wood. This hardiness is due to the fact that cedarwood will actually change its moisture content to closely match the atmosphere. Moisture is what commonly causes wood to warp and crack, especially in colder climates during freeze-thaw cycles. Using cedar may cut down on maintenance issues that can come up over time and will often add years of life to a deck. Premium woods like red cedar and redwood offer comparable levels of durability and longevity, lasting an average of 20 years. Both woods are naturally resistant to shrinking and warping. The primary difference between the two woods is color: Redwoods range from light to dark red, while cedar hues run from light brown to salmon pink. Douglas fir is not only beautiful but also very strong. 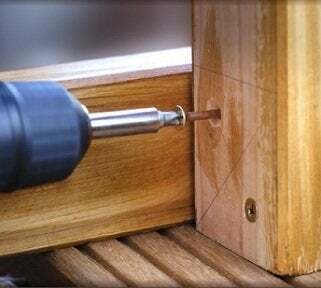 It responds well to hand- and power-tool use and, properly treated, is decay-, mold-, and termite-resistant. Initially, wood costs significantly less than either vinyl or composite, and if properly constructed and maintained, a wood deck will last for years. And unlike petroleum-based materials, wood is renewable if sustainably harvested. Wood does, however, require more maintenance than other materials. A couple of times each year, it should be rinsed off, and every three or four years, it should be repainted or finished with a stain. Cedar and redwood decking may be left to weather naturally, but to make it last longer, apply a clear preservative every few years. For information on how to stain a wood deck, click here.